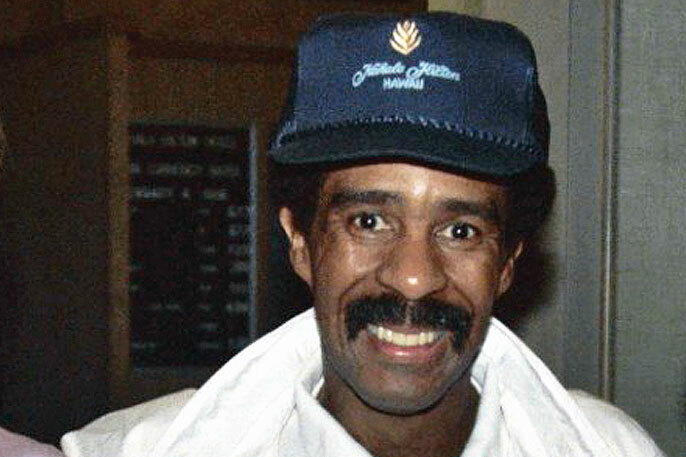 The above photo is of the late famed comedian Richard Pryor. Pryor was in a movie in 1985 called Brewster’s Millions. The movie was about a man who in order to inherit his late uncle’s fortune of $300 million, he had to spend $30 million in 30 days. There was a catch, and that was that he couldn’t own any assets nor could he tell people why we was spending so much money. Otherwise he would forfeit the entire fortune of $300 million once the month was over. I was thinking, what if that movie was remade today? But instead of Brewster’s Millions, it was a $1 billion fortune. What if he had to spend $100 million in 30 days to get the fortune of $1 billion? So my question is, what would you spend $100 million on in 30 days? For starters, I would rent out the entire Madison Square Garden for one some morning hoops every day for 30 days. This fee would run about $200,000 for the rental of one day. But like I said, that would be just some morning hoops. So about two to three hours of shoot around. Now I am down to $94 million from my previous amount of $100 million. I would rent a Bugatti for the next 30 days for the month, which is approximately $25,000 per day for the next 30 days. So, my new amount would be $93.25 million. Now, I have to move myself into a nice place to live for the next 30 days. So I would rent the The Mark Hotel Suite in NYC at a whopping $75,000 per night for the next 30 days; $2.25 million. Now my new amount would be $91 million. Just like that I have already spent $9 million and I have yet to end the morning of my day. So where to next, hey, why not pay for breakfast, lunch, and dinner for any who want some for free. There are 328 buildings owned by the housing authority in NYC. In all, about 400,000 people live in the buildings. So, how about I throw a breakfast, lunch, and dinner party for a chosen few projects in all five boroughs. I would throw a brunch party for all five projects in each of the five boroughs for the next 30 days, which cost approximately $20 per person. This would bring my total spending for the month at $18,292,683. Now my new balance would be at $72,707,317. Remember I said dinner as well, so why not choose five separate projects in each borough, and plan gourmet style at $40 per person. Now that would cost a whopping $36,585,366, bringing my new balance to $36,121,951. Now, with me spending all this money, I am going to need some security in case I get robbed. So let’s say I hire NYPD’s finest for the next 30 days. Well, an NYPD officer gets paid $44,744 per year. Assuming a 40 hour work week, that’s approximately $22 per hour. I’ll hire 20 officers for the next 30 days to follow me everywhere at a rate of $25 per hour. That would be $86,600, and when I am at home, an additional 20. That bring s the total of protection for 30 days to $173,200. Oh, for the transportation 10 Bugatti cars rented for the 40 police officers for the 30 days bringing the cost to hire and rent the cars $15,173,200 ($25,000 per day for a Bugatti) for the month. The new balance would be $20,948,751. So what to do with my just over $20 million. Now I can’t give it away because that’s one of Brewster’s rules, so what is another way. And you know what, I found another way. I would have a movie night at theaters across New York. There are approximately 300 cinemas and 175,000 seats. I would, with my last money, host a movie night every night for a month. So, the breakdown is as follows: $14 average ticket, for 49,856 seats for 30 days. That total comes to $20,939,520. My balance is now down to $9,231. Remember all those cars, I’m going to need parking for the month. And just like that, I could spend $100 million in NYC for a month.